You are here: Home » SPORT » Buric: We are going to Kaunas for another Victory! 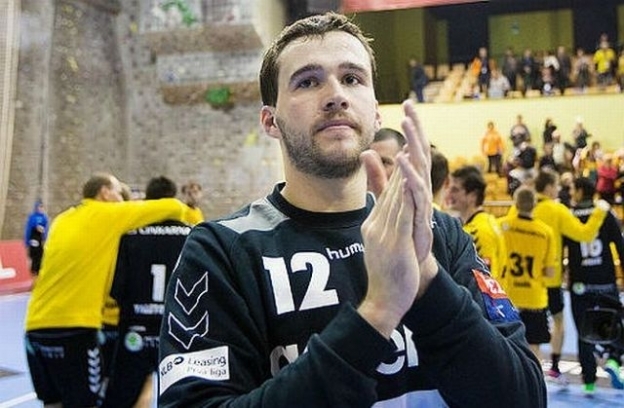 Goalkeeper of the Handball National Team of Bosnia and Herzegovina, Benjamin Buric, who was, with 16 defenses two nights ago in Cazin, one of the most responsible for the win of our team against Lithuania in qualifying match for European Championship, said that the opponent is not naive team. “A large number of Lithuanian players are playing in foreign clubs. They showed that we must not underestimate them. I consider that will not be easy for Belarus or Denmark to play against them. I think that we deserved to win in this slightly worse game. However, win is win“, said Buric. Buric emphasized that our team will go for the win in the rematch that will be played on 3rd May in Kaunas. We showed that we play better in guests than at home. I think that we cannot play in the attack worse than two nights ago. I am sure in our victory. I believe in these guys and we hardly wait the match against Belarus, we want to participate at the European Championship“, said Buric. Right-back of the BH team, Dejan Malinovic, said that “the big team is seen when loosing as well as when winning“.